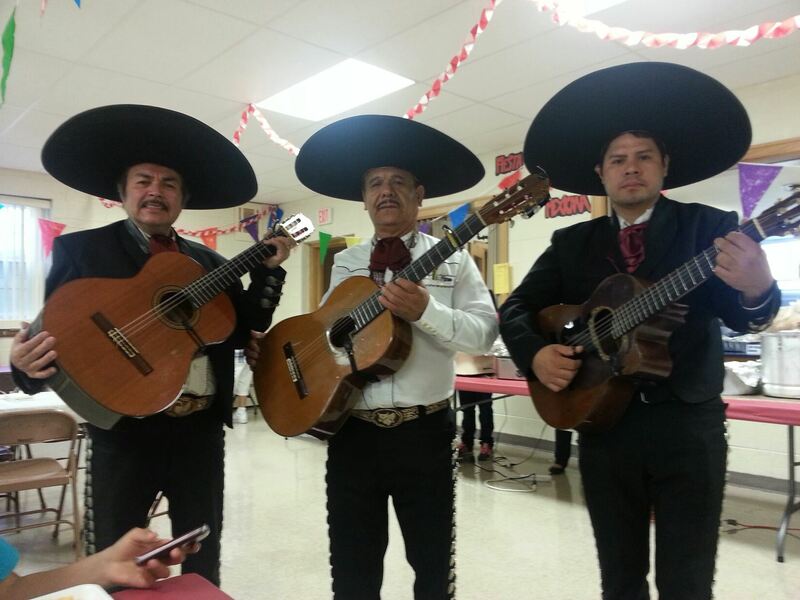 Tickets are now for sale for Fiesta Mexicana at Emmaus Lutheran Church (Parroquia Emaús), 1925 Summit Avenue, from 11:00 a.m. to 4:00 p.m. Saturday, May 3. Savor the home made and absolutely delicious all-you-can-eat Mexican fare! Meal tickets are $8.00 for adults, $4.00 for children age 3 to 12, and can be purchased at the door or by phoning 262 634-5515. Guests will enjoy special live Mexican music at various times throughout the day. Special gift baskets are being prepared for silent auction and raffle. Doors open at 11:00 a.m. Saturday, May 3, and the meal will be offered until 3:30 p.m.
Come, join the fun and help support this special fund raiser! Thrivent Financial for Lutherans has pledged partial matching funds for this event.